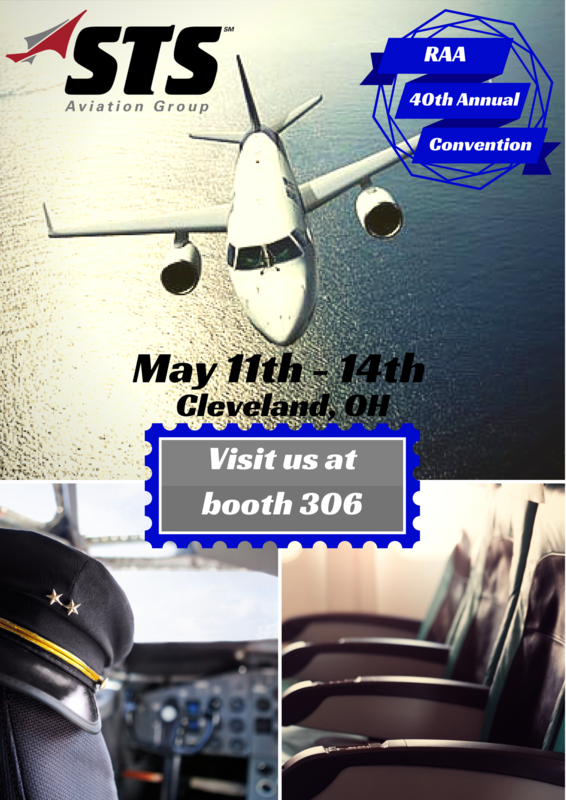 The 40th anniversary of the RAA Annual Convention, taking place in Cleveland on May 11 — 14th, is just one week away, and STS Aviation Group is excited to announce that we will be exhibiting at the event! The annual convention is boasted as the place where experts from all over the world come together to celebrate a monumental past and promising future within the regional airline industry. Members of the STS team will be inside the Cleveland Convention Center exhibiting at booth 306. Come and learn about the global aircraft & engine Component Solutions we offer, the products we distribute from the aviation industry’s leading OEM suppliers as well as our 24/7 support services that have been designed to keep you and your company flying. If you would like to make an appointment to meet with an STS team member at the event, please contact Taylor Salisbury by clicking the “Book Now” button below. Otherwise, stop by and visit us at booth 306. Thanks, and we look forward to seeing you there!